Tax season is almost here. If you're a college student, you may not think much about your taxes, especially if your main focus isn't solely on your earnings right now. However, you may be able to qualify for a refund, which might make you excited. If you're planning on filing taxes this year and need a crash course regarding the process and what you need to know, you're in the right place. First, if you want to file this year, you'll need to determine your filing status. Understanding whether you're an independent or dependent student can help with this. If you are a dependent student, it means that someone else can claim you on their taxes. You should also have to report your parent's income while you apply for financial aid through the FAFSA. If you are independent, it means that no one can claim you on their taxes and you won't need your parent's income for the FAFSA. Most independent students are married and/or have at least one child who is their dependent. Dependent students might be able to file their taxes as 'head of household' or 'married' if they are married. College students still need to pay taxes. Even 16-year olds with a part-time job pay taxes through their employer. Whether you need to file a federal tax return depends on your gross income, filing status, age, and status (dependent or independent). According to the IRS website, if you are an unmarried dependent student, you must file a return if your earned and/or unearned income exceeds certain limits. Earned income is what you are paid from an employer for active work, while unearned income includes things like interest, dividends, and capital gains. If you were under the age of 65 at the end of 2016 and your filing status is single, you must file a return if your gross income for the year was at least $10,350. During my first year of college, I earned way less than this amount. I remember going in to see a tax preparer to file my taxes and being told I didn't need to file. Even though I was a parent at the time, I didn't earn enough money to say that I could support myself and my son solely off my income, so my mom was able to claim us for the year. You can refer to this chart below which was taken directly from the IRS Publication 501 for exemptions, standard deductions, and filing information for more details about whether you should file depending on your filing status. Be sure to check with your parents or a tax professional to determine whether you should file taxes this year. 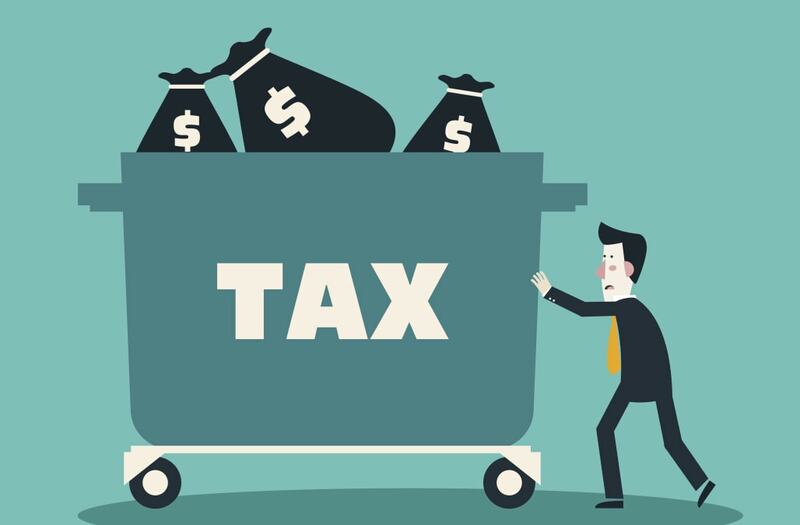 Tax breaks or benefits are great because it means the government can provide a reduction for your taxes, often done by excluding income from your tax return. This is perfectly legal so don't worry. College students may be able to take advantage of certain tax benefits as long as they're enrolled in an accredited university, college, vocational school, or even adult education classes. There are two education-related tax credits to consider, and they are the American Opportunity Credit and the Lifetime Learning Credit. The American Opportunity Credit applies only to college students during their first four years of post-secondary education, and it allows you to claim up to $2,500 per year. The credit also covers 100% of the first $2,000 of qualified tuition, required fees, and qualified expenses, plus 25% of the next $2,000. You must be enrolled at least part-time for at least one academic period which can begin during the tax year, and 40% of the credit is refundable, so you may receive $1,000 as a tax refund even if you owe no taxes. Tax credits like these are great to take advantage of because they can lower your taxable income, allowing you possibly receive a larger return. The Lifetime Learning Credit can help you pay for undergraduate, graduate and professional degree courses, and the number of years you've completed in the program doesn't apply. Eligible students may qualify for a credit up to $2,000. If you are paying off your student loans and attending college, you may also be able to qualify for a student loan interest deduction and a tuition and fees deduction. What If You Receive Grants or Scholarships? You'll be glad to hear that you don't have to pay taxes on grants or scholarships you receive while in school. Most grant or scholarship money goes directly toward your educational expenses anyway, whether it's an athletic scholarship or an educational grant. However, if you land a job at school or a work study position, you have to report your income. With that being said, apply for as many grants and scholarships as you can to lower the costs of college since you won't have to worry about any tax penalties. If you've already determined your filing status and are ready to file, you have a few options to consider. First, you can e-file online for a low fee. E-filing is very popular so long as you choose a secure platform like TurboTax or Efile.com. It's also pretty easy, and considering the fact that you're in college, your taxes shouldn't be that complex to file. Plus, there are resources and tutorials to walk you through the process. If you don't feel comfortable e-filing by yourself, you can always take all your documents to a tax preparation office. Well-known franchises will get the job done with no problem, but they often charge higher fees, which could eat into a tax refund you might get. You can also see if your family has an accountant they usually go to or see if there are any community programs that will allow you to file your taxes for free. I used to get my taxes filed for free for years since my old community college rounded up volunteer CPAs every year to file taxes for people in the community twice a week during tax season. There were income limits for single and married people, but since I was in college and not earning much, my income always fell below the limitations. Filing your taxes as a college student can seem stressful and confusing. Be sure to take your time and ask tax professionals lots of questions if you need clarity on anything. You have until April 18 to file this year, so there's still plenty of time to get organized and figure out everything you need to know. What Every College Student Needs to Know About Filing Their Taxes is a post originally published on: Everything Finance - Everything Finance - Its all about Money! If you put money into a traditional IRA or 401(k) plan, you'll benefit in two ways. First, you'll get the financial security that comes with having savings available in retirement, and the earlier in life you start contributing, the more opportunity you'll give your money to grow. But you'll also benefit from a tax perspective, because the amount you contribute will go in pre-tax. What this means is that if you make $50,000 a year but put $5,000 into your 401(k), you'll only pay taxes on $45,000 of income. Talk about a win-win! Is your basement or hall closet overflowing with clothing, tools, and gadgets you don't need? If you donate those items to a registered charity, you'll get to claim a deduction on your taxes. All you need to do is obtain an itemized receipt of what you give away to verify your donation, and you're all set. Medical care can be a huge expense for some families. Americans spent an estimated $416 billion on out-of-pocket medical expenses in 2014, and that number is expected to climb to $608 billion by 2019. But if you sign up for a healthcare flexible spending account (FSA), you'll get to pay for eligible medical expenses, like copays and prescription drugs, with pre-tax dollars. For 2016, you can allocate up to $2,550 to an FSA, which means that if your effective tax rate is 25%, you'll save $637 by contributing the maximum. But don't make the mistake of overfunding your FSA. The money you contribute goes in on a use-it-or-lose-it basis, so if you put in the full $2,550 but only rack up $2,000 in eligible expenses, you'll have to kiss that remaining $550 goodbye. Childcare is one of the greatest expenses families with young children face. The average American household currently spends $10,192 a year on full-time day care center care, $7,700 a year on regular after-school babysitting, and $28,900 on a full-time nanny. The good news, however, is that you can shave a fair amount of money off your tax bill by opening a dependent care FSA. Similar to a healthcare FSA, a dependent care FSA allows you to allocate pre-tax dollars to pay for eligible child care expenses, which include preschool and summer camp. For 2016, a couple filing a joint tax return can contribute up to $5,000 a year in pre-tax dollars. If you max out that limit and your effective tax rate is 25%, you'll save $1,250 in taxes. The only catch is that like a healthcare FSA, if you end up spending less during the year on eligible expenses than what you put in, you'll forfeit your remaining balance. Traffic and rail delays can be a huge source of daily aggravation. But if your commute can't serve the purpose of helping you relax and ease in and out of your workday, it can at least help you lower your taxes. All you need to do is sign up for commuter benefits through your employer, and you'll get to use pre-tax dollars to pay for the costs you already incur. For 2016, you can allocate up to $255 per month in pre-tax dollars for transit and up to $255 a month for parking for a combined total of $510. If you hit that maximum and your effective tax rate is 25%, you'll save $1,530 a year on your taxes. Nobody likes paying taxes, and there's certainly no reason to pay more than you have to. With a few smart moves, you can lower the amount you ultimately fork over to the IRS and keep more money in your pocket.